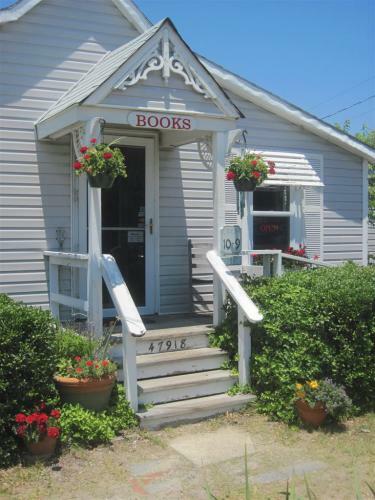 If you've visited us on Hatteras Island you recognize our storefront. Here on our website we want to offer you the great customer service you'd get if you walked in our front door. In the store, and here online, we offer all the newest best sellers,contemporary fiction, southern fiction, non-fiction and adventure, young adult titles and more. If you don't have an indie bookseller in your hometown, we'd love to be your "local bookseller" when you're at home too! From this site you can search and order any book currently in print. Type your title or author into the search box on the right and off you go! We also offer ebooks. Look for those in the "Search eBooks" box on the right. Ebook specials are updated daily! We now sell downloadable digital audio books,too. Go here to buy your next great "listen" from us! If you are particularly interested in Hatteras or Outer Banks books we've posted those on separate pages for easier searching. Click on the tabs/menu at the top of this page. Lots to look at here in cyberspace. So come on in and browse around.